This article aims to help users remove Gangnam Game Virus from Chrome, Firefox, Internet Explorer and Safari, as well as their respective system. Gangnam Game Virus is a piece of software in many ways resembling closely the effects and behavior of the Adware type of virus. This type of malware is considered less severe than others but you should still learn what to expect and how to deal with it. 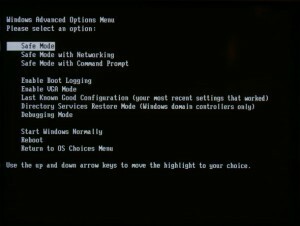 In this article we are going to outline some of the major issues associated with this virus as well as some of the ill effects this is going to cause your system and of course we will give you a detailed guide on how to remove it from your computer. As we already mentioned the Adware type of virus is not among the usual suspects when people are talking about the most vicious pests that you may have the misfortune of getting to know better. Yet that doesn’t mean that you should take the treat they represent lightly. You will experience and encounter numerous redirects every time you start browsing the internet. You only need to open your browser really. In addition to the redirects you are also going to see a lot of pop-ups with Ads, thus justifying the name – Adware. What both the redirects to various shady websites and the fraudulent pop-ups have in common is the following: they are both leading you to potentially unsafe locations where you are most probably going to get infected with even more viruses and other types of malware. You should know that these advertisements are utterly fake and disregard them as best as possible. While that might be hard, let’s face it they are totally annoying, not interacting with the suspicious websites/ads is the safest possible behavior from your side. Of course that is only a temporary solution, you can’t leave this malicious software on your device any longer than it takes you to completely remove it. You have probably noticed the effects Gangnam Game Virus has on the performance of your PC. 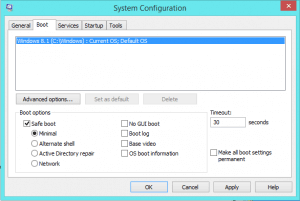 Due to the nature of this virus you will get significantly decreased performance from your system as well as periodic freezes and in some cases even complete system failures or the blue screen of death as it is notoriously known. 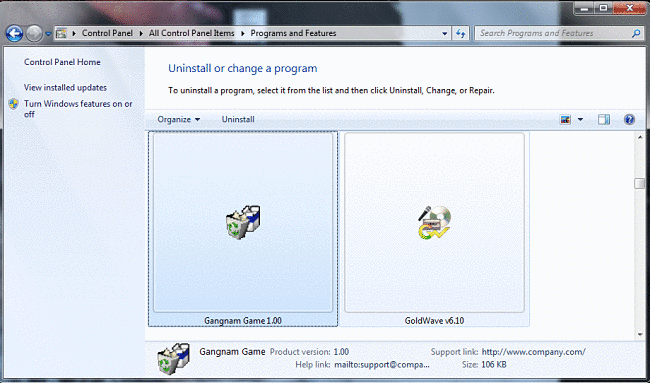 2: Remove Gangnam Game Virus from Chrome, Firefox, Internet Explorer and Safari. 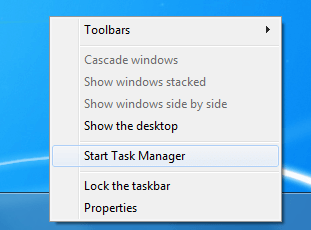 5: Permanently remove Gangnam Game Virus from Task Manager’s processes. ATTENTION! IF YOU CAME LOOKING FOR NEW INFORMATION, CHECK OUR UPDATED SECTION BELOW! Before you jump head on into the removal process, take this moment to read through this short paragraph and save yourself some valuable time in the process. It is universally hard or maybe we should say impossible to create a removal guide that will work for all users, all systems and with every different version of the virus. Yep, there are different versions of this malware all over the World Wide Web. After all the creators of such programs don’t want to make life any easier for the people trying to remove their creations. As a result some of the steps outlined in your detailed guide might not relate to your specific situation and problem at all, if that is the case skip the irrelevant step or steps and move on. If you have any questions, suggestions or recommendations, leave us a comment, we appreciate the feedback. Gangnam Game Virus has more than likely spread to all your browsers. What this means for you is you will need to apply each and every step of our removal guide individually for every browser present on your computer at the time the virus has accessed your device. If you installed any additional software from unsecured locations and or prompted by the malware, you will have to locate and remove it as well. Find Gangnam Game Virus . Remove it by pressing Disable. Gangnam Game Virus should be somewhere around here – Remove it. WARNING!!! VERY, VERY IMPORTANT! DO NOT CONTINUE BEFORE READING! You have reached the point of no return. The next few steps are crucial to the whole operation. At the same time if something goes wrong here there is a very real and distinct possibility that your whole system might get completely broken. If you do not want to take such a chance or are not utterly convinced in what you are doing we strongly recommend using a professional remover to get rid of Gangnam Game Virus. This is a real threat, there are multiple reports of user’s personal information getting accessed through this virus, so beware!! !